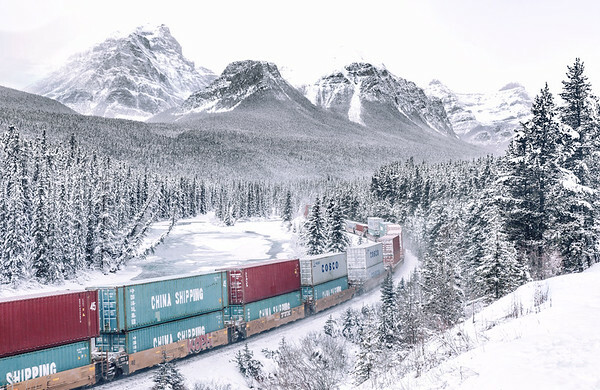 Westbound freight train at Morant's Curve in Banff National Park, Alberta, Canada. Westbound freight train at Morant's Curve in Banff National Park, Alberta, Canada. / Train de marchandises à Morant's Curve dans le parc national de Banff en Alberta, Canada.